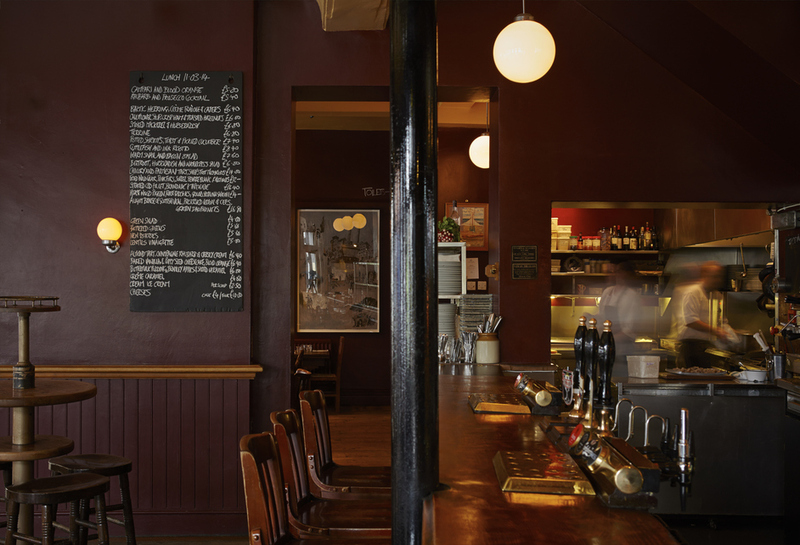 The Anchor & Hope is a gastropub that takes both parts of its name seriously, and you can certainly have a good evening just popping in to sample some of their excellent selection of draft beers. However, it's the food that has made this a London landmark, and if you want to eat here, be prepared to arrive early. There's no table booking, and a no-nonsense attitude to customers, however demanding they may be. If you want your beef well-done, you'll be politely asked to choose something else, and if you want a light, vegetarian snack, then you'll be sorely disappointed. However, if what you're after is an imaginative menu, enormous platefuls of meaty goodness, and sensible prices, then this will be paradise for you. The best meals here are for sharing - slow roast lamb shoulder, for example - so it's a good place to go in a large group. The no-booking policy means you should turn up early - before six if you want to be seated immediately, though a forty-minute wait in a pleasant pub won't ruin your evening. It's almost unbelievably good value, as well, for though the presentation is relentlessly unflashy the cooking is Michelin-star standard. The Anchor & Hope gyms, sporting activities, health & beauty and fitness. The best pubs near London The Anchor & Hope. The Anchor & Hope clubs, bars, cabaret nights, casinos and interesting nightlife. Where to have your meeting, conference, exhibition, private dining or training course near The Anchor & Hope. From cheap budget accommodation to luxury 5 star suites see our discounts for The Anchor & Hope hotels, including Hampton by Hilton London Waterloo from 83% off.